UERRA (www.uerra.eu) is a bit more than halfway through its 4 years. During the first two years the observation rescue reanalysisis, data services and quality evaluation systems have been developed. Some 8.5 M data have been processed and additional ones will be extracted from already digitised national archives. The reanalyses in 4 different versions or applications are ready to start or have started running. Now with data services and archiving started and evaluation of uncertainties beginning, everything in UERRA is falling into place and being put together to show a pre-operational Copernicus regional reanalysis service. 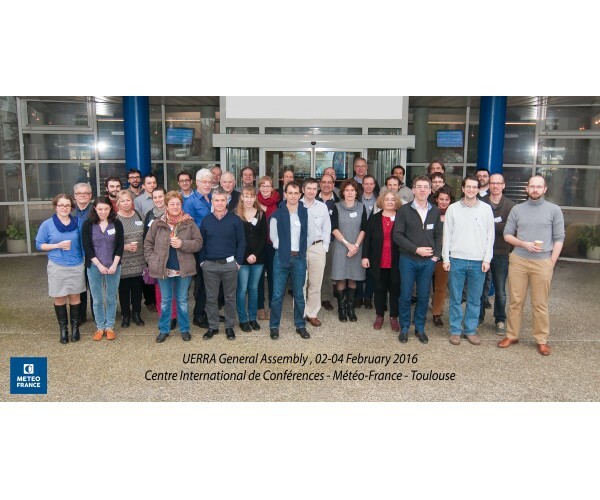 Meanwhile, the third General Assembly was held in Toulouse this February. In connection with this, there was an early User's Workshop where a good number of Users of scientists working with users, presented their applications and user requirements. More information and figures are in the individual articles. You can also download the pdf file. Work Package 1 in UERRA is involved in data rescue of historical observations of temperatures, precipitation but also other variables like pressure and winds. Work package 1 also deals with interpolation of processed observations on the European scale and connects and interacts with European efforts on the global as well as regional and national scale. In particular the interpolation methods are being developed to take better account of the physical structures of precipitation and temperature and with respect to the land orographic structures. In addition, as it is in UERRA, uncertainty estimation evaluation methods have been developed. There are three different fully 3-dimensional reanalysis systems developed in UERRA and a fourth one which is analysing near surface parameters only but at higher resolution, 5 km, instead of about 11 for the three upper air reanalyses. A comprehensive software package for evaluating reanalyses in several different ways has been further developed. The package has been built at DWD and MET Norway and based and evolved from previous packages in R and HARP from the HIRLAM consoritum. A github repository has been set up where partners can contribute and the software can be shared and it is openly available. First a between-centres common two year EURO4M reanalysis period was archived in MARS at ECMWF as a pilot data set and for the evaluation team to work with. These data are however quite heterogeneous in their choice of parameters and types and times of data (e.g. analysis or forecast and surface or upper air) since there was no prior coordination at this level of detail. In UERRA there is a common set or parameters (for most of them; there are limitations or extension in the different models that result in that a few parameters are not in all models or reanalysis producer's archives). 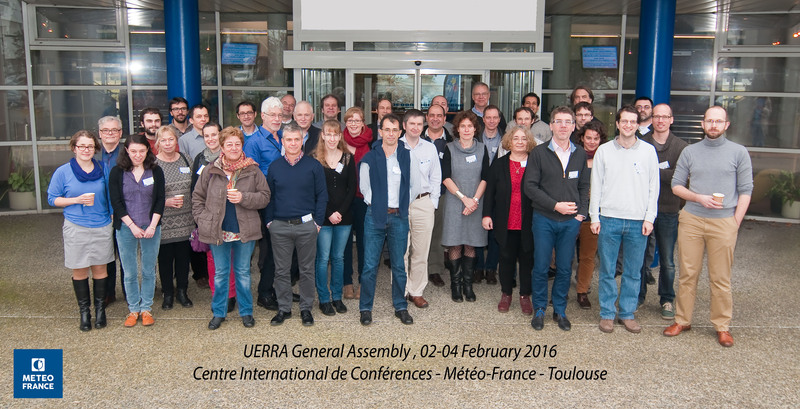 A User workshop (of reanalyses) was organised in Toulouse 3-4 February 2016 and it was well attended by both UERRA data producers and evaluators (in terms of QA) and users from the climate change research and energy industry and some commercial applications like insurance and media.